We are entering the time of year where all-wheel drive and snow tires have fallen out of vogue. As spring hits, warmer, dry pavement has motorists craving vehicles ideal for making full use of smoother trails. The New York International Auto Shows is one of the last North American indoor vehicle exhibitions ahead of the summer driving season. Because of convenient timing, the 2013 show in the large American city has been a sports car coming-out party. A limited edition 2014 SRT Viper TA and the Jaguar XKR-S GT Coupe are among the performance driving experiences afforded to individuals connected with wealth. More in touch with American pocketbooks, the New York show also promised a mid-cycle redesign of the Chevrolet Camaro. Along with the new look 2014 model year pony car, an old friend to Camaro enthusiasts announced a surprise return. Announced last week for the 2013 New York International Auto Show, the previously released teaser image has expanded to reveal a tastefully retouched Chevrolet Camaro SS. A wider, lower grille opening of the 2014 Camaro casts a more sinister look on the road. The RS appearance package adds “halo ring” HID headlamps for 2014 translating to a modern gleam. One of the more dramatic visual changes to the 2014 Camaro is found at the vehicle’s rear. Instead of the dual pod taillights, the 2014 model year Chevrolet Camaro incorporates a pair of single-piece lighting fixtures. 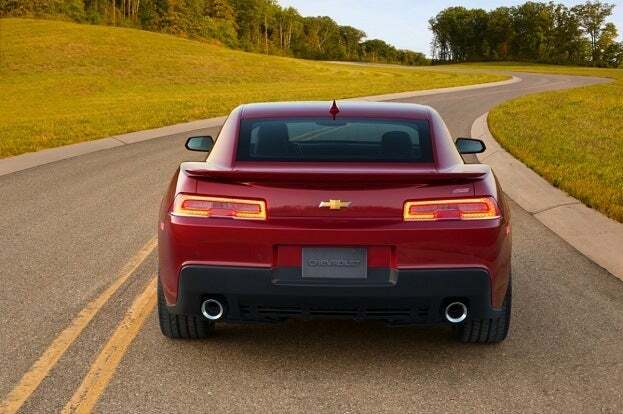 Departing from the Corvette-like rear lighting detail, the 2014 Camaro taillight configuration is grounded with the history of Chevrolet’s pony car. 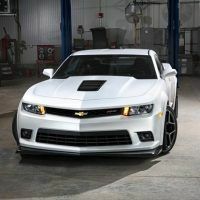 A new hood featuring a series of center-mounted louvers will better define the 2014 SS version of the Chevrolet Camaro. This redesigned engine cover incorporates improved aerodynamics and promotes better heat dispersion. In addition to the makeover of the current Chevrolet Camaro models, the 2013 New York International Auto Show presentation included an incentive for young people to pursue their New York permit practice test. 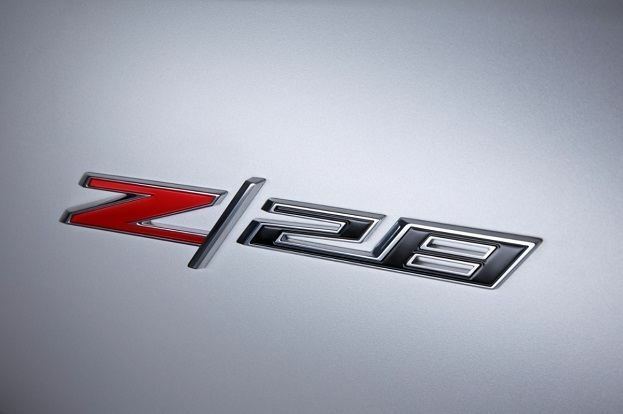 For the first time with the fifth-generation Camaro, the Z/28 badge resurfaces as a showstopper. The original 1967 Camaro Z/28 came to life as a performance package designed to the limits of the SCCA Trans Am Series rulebook. The 2014 Chevrolet Camaro Z/28 will adhere closely to the track-oriented fundamentals of the 1967 model year product. 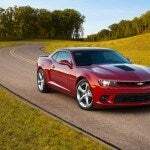 However, unlike the original vehicle that used a 302 cubic-inch engine, the 2014 Chevrolet Camaro Z/28 has a substantially greater punch. 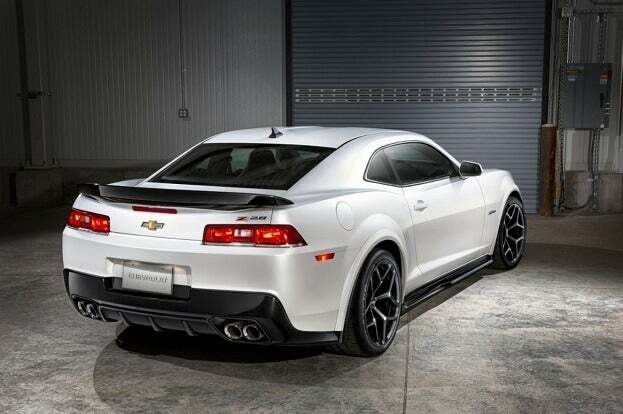 Borrowing the LS7 V-8 engine from the Chevrolet Corvette Z06 and 427 convertible models, the 2014 Camaro Z/28 is expected to belt out 500 horsepower and 470 pounds-feet of torque. A close-ratio six-speed manual transmission channels the LS7 engine’s power through a limited-slip differential to the rear wheels. Judging from the LS7 engine’s potential performance punch, you would first think the 2014 Chevrolet Camaro Z/28 would serve as an intermediate vehicle between the SS and ZL-1 models. In truth, the 2014 Camaro Z/28 is merely a difference interpretation of pony car high performance. Weight reduction measures elevate the fitness level for the Camaro Z/28 to levels exceeding anything else in the 2014 Camaro line-up. HID lighting, air conditioning and sound-deadening material has been removed from the 2014 Chevrolet Camaro in order to create a rawer track performer. The cabin audio system has also been scaled down as emphasis is placed in vehicle performance. While the Camaro’s rear passenger seat stays on the Z/28 model, the bench seating’s weight is reduced by nearly 20 pounds. Combined with several other weight-saving initiatives, the 2014 Camaro Z/28 is 300 lighter than the supercharged ZL1. 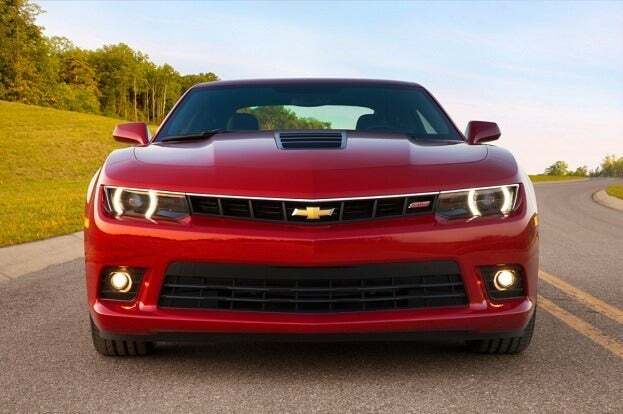 The lightweight, 500-horsepower 2014 Camaro Z/28 boasts noteworthy handling. 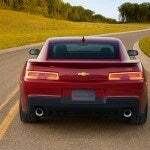 The 2014 Chevrolet Camaro Z/28 delivers breathtaking grip through Pirelli PZero Trofeo R tires on 19-inch wheels. Cornering grip up to 1.05 g is possible with the 2014 Camaro Z/28. Chevrolet’s Performance Traction Management system is included on the vehicle for dialling-in ideal track-handling characteristics. For superior stopping force, Brembo carbon-ceramic disc brakes are up to the task of stopping the wickedly fast Camaro. 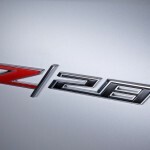 The 2014 Chevrolet Camaro V-6, SS and ZL1 models will be released later this year. Camaro Z/28 admirers will have to wait until spring of 2014. 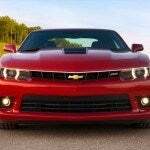 No Comments on "NY Hosts Refreshed 2014 Chevrolet Camaro, Z/28 Return"